With midnight, December 31st fast approaching it was time to double-check F.A.S.T. (Formation And Safety Training) credentials for everybody. It wasn't enough to have flown during the prior year, paperwork needed to be completed. Which, of course, it hadn't been. 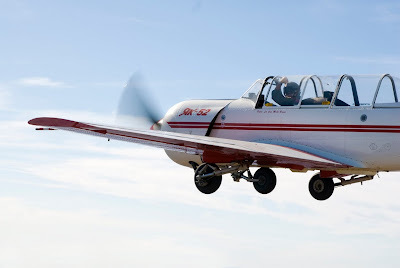 So it was necessary for Mustang, Crash, Duck, and Pig Pen to take to the sky to keep their F.A.S.T. cards from turning into pumpkins when the New Years ball drops in Times Square. F.A.S.T. 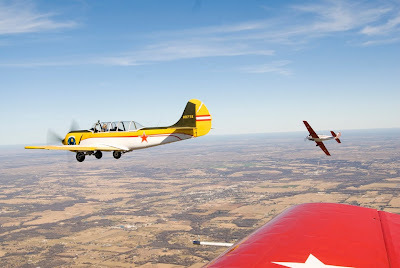 is a committee, recognized by the FAA to ensure that a certain level of training and proficiency is maintained by all pilots wishing to fly in formation in the waivered airspace at at an airshow. F.A.S.T. member organizations, such as the Red Star Pilot's Association (RPA) manage their own training programs to F.A.S.T. standards and maintain records on training and proficiency through the "Wingman", "Lead Pilot", "Instructor", and "Check Airman" levels. 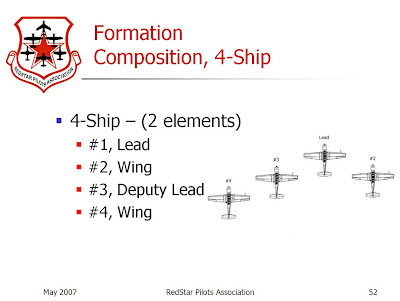 At least once a year a Lead Pilot must sign off paperwork saying that another lead or wingman has flown in or conducted a four-ship formation. 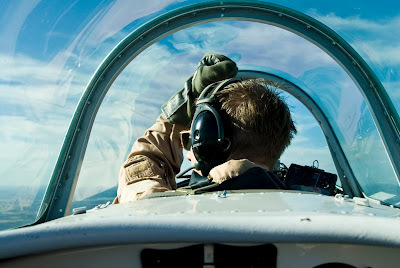 Communication is accomplished in formation with minimum radio traffic; in fact, an entire flight can be flown — beginning to end — without a single radio call. And what it looks like from the wingman's point of view. 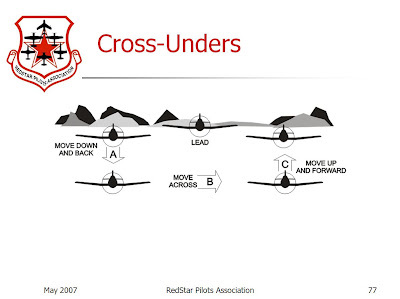 The RPA manual's guidelines on accomplishing the cross-under. An echelon turn, where all aircraft remain at the same altitude (vice "stacking up"). The beginning of a "B&R" — breakup and rendezvous. 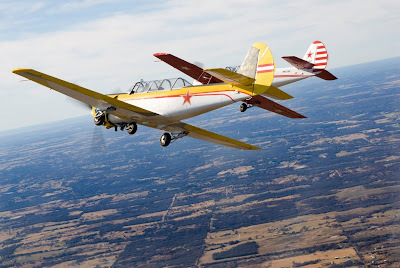 What started off as an overcast day (ceilings less than 100 feet) turned into a great day for some of our Cold War Air Museum associates to go flying and take pictures. Thanks to the RPA for the formation graphics and thanks to Miguel for the pictures, more can be found on his page on Flikr.